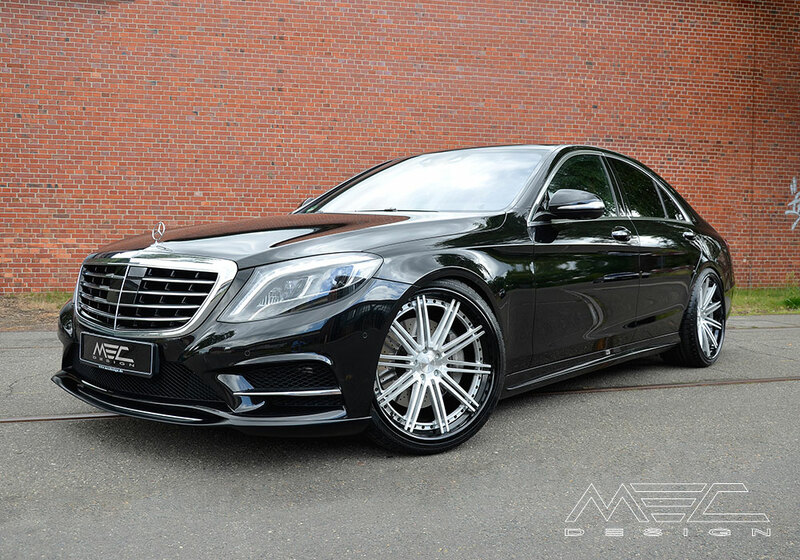 With the release of the MEC Design bodykit set for the W222 S Class a few weeks ago they have now released some photos of another refined S Class that features the full bodykit set as well as a gleaming set of their three piece wheels. The three piece wheels shown are another version of the beautiful CCd10 forged wheels from the meCCon concave wheels series from MEC Design. The wheels seen here are 22″ and fit without the need for any work – just Plug and Play installation. The wheel center has a satin finish with a black gloss stepped lip. The wheels are available in a range of colours to suit all tastes and sizes to fit most vehicles whether Mercedes Benz or not (they can be seen here looking just as good on the Aston Martin DBS). At the front of the car the MEC Design front spoiler lip optimizes the form of the front bumper, giving it a more personal touch (only for AMG styling package). The MEC Design rear diffuser with original AMG end pipes (only for AMG styling package) compliments the rear of the vehicle. More couple of features at the rear of the vehicle are the rear window spoiler that fits directly onto the rear window and also the stylish rear trunklid spoiler that sits nicely on the edge of the aforementioned. Both the rear window spoiler as well as the rear trunlid spoiler fit all models ranging from the S300 up to the S63/ S65 AMG versions. 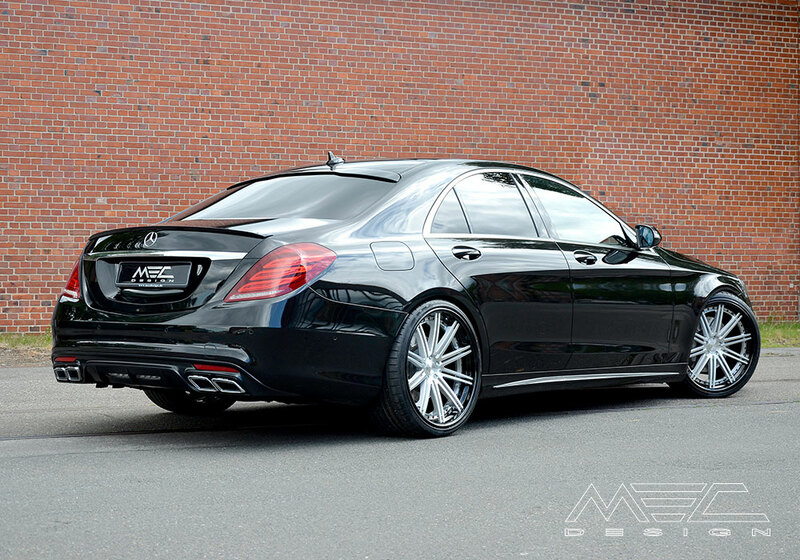 MEC Design Bodykit – front spoiler lip, rear diffuser with original AMG end pipes, rear trunklid spoiler and rear window spoiler. The bodykit parts are available as individual parts depending on your needs or should you want to take the full MEC Design package they have a set available with everything in. As always with MEC Design all these add-on parts are also available in a carbon fibre finish ready to compliment your vehicle and make it as individual as you require. As always another example of MEC Design making the best, better! To see more photos please visit our W222 S Class gallery. For high resolution images please visit our media downloads area.